A cosmetic dentistry smile makeover from Jeff Gray DDS in La Mesa is transformative for anyone who has been embarrassed by their smile for years. But it’s not just about looking younger and more attractive—though it most certainly will do that. It can improve your life in ways that many people might not guess. How can a smile makeover transform your life? 1. It alters the way you are perceived by others. A man or woman who smiles often and easily is generally regarded as a forward-thinking problem solver. 2. It brightens the atmosphere in social settings. When you openly smile, it is contagious. It enhances the mood in any setting and eases tension when required. 3. You will feel more self-assured. 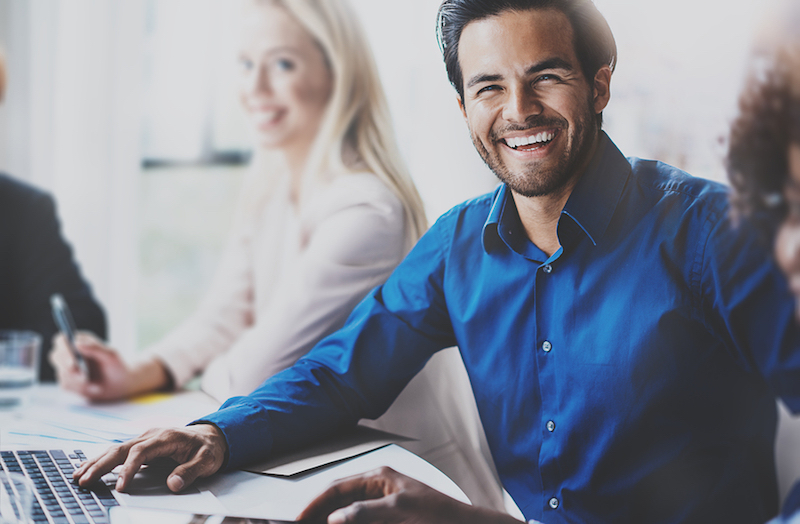 When you quit dwelling on making sure you hide your teeth, you have the strength to focus on ways to realize success in personal and professional pursuits. 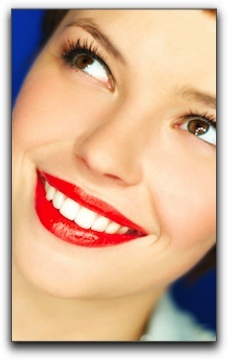 A cosmetic dentistry smile makeover from Jeff Gray DDS in La Mesa is an investment in yourself. It begins with a smile analysis, and keeps getting better from there. Schedule an appointment with us today. Cavities and tooth decay are among the world’s most common health problems. They’re especially common in children, teenagers and older adults. But anyone who has teeth can get cavities, including infants. If cavities aren’t treated, they get larger and affect deeper layers of your teeth.The desire to prohibit cavities is one of the main reasons people visit us at Jeff Gray DDS – Sedation & Cosmetic Dentistry in and around the greater San Diego and La Mesa areas. Cavities, both treated and untreated, in all adults age 20 to 64 declined from the early 1970s until the most recent (1999-2004) National Health and Nutrition Examination Survey. The decrease was significant in all population subgroups. In spite of this decline, significant disparities are still found in some population groups. Today we are going to highlight 5 things you need to know about cavities. 1. Cavities are also called caries or tooth decay. When a tooth is permanently damaged in the hard surface, tiny openings emerge. These little holes are cavities. 3. Cavities may get so bad that you will see pits or holes in your teeth, but symptoms may be more subtle, such as sensitivity, pain when biting, or a toothache. If you experience any of these symptoms, you should call your dentist today to schedule an appointment. 4. Cavities are more common among young children, but that doesn’t mean adults don’t have to take precautions. 5. Avoiding cavities is simple. Be sure to brush twice a day with a fluoride toothpaste, floss daily, eat right, forego frequent snacking, and have regular visits with your dentist. If you are in the market for quality dental care in the La Mesa area, consider us at Jeff Gray DDS – Sedation & Cosmetic Dentistry. 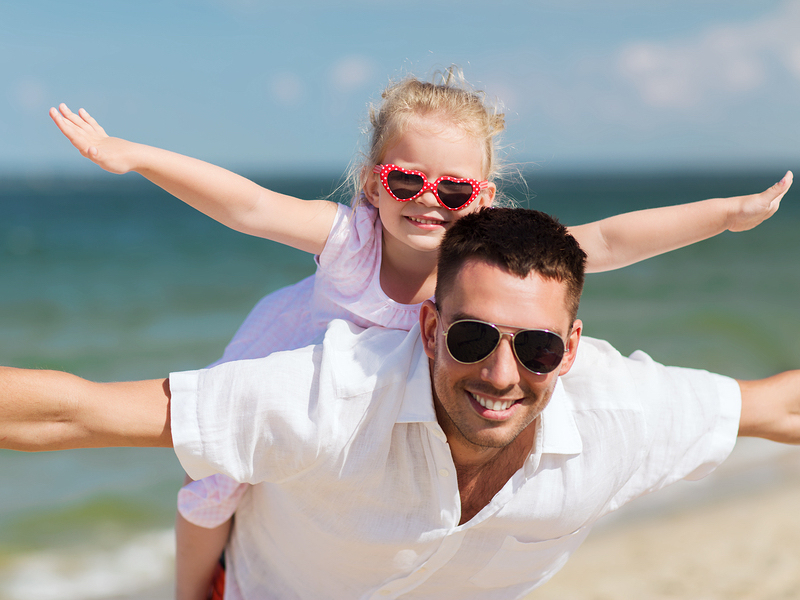 We have been providing sedation and cosmetic dentistry in and around San Diego since 1986. Please give us a call today! As you stand over your bathroom sink and think about the frayed bristles of your favorite toothbrush, you may wonder whether the time has come to replace it. It’s a good question. Fortunately, we at Jeff Gray DDS – Sedation & Cosmetic Dentistry in La Mesa, CA have the answer! We all brush our teeth on a daily basis. Like a good pair of jeans, it seems the more we use a toothbrush, the more comfortable it gets. As it turns out, that’s not a good thing when it comes to brushing your teeth which is critical for the prevention of gum disease. 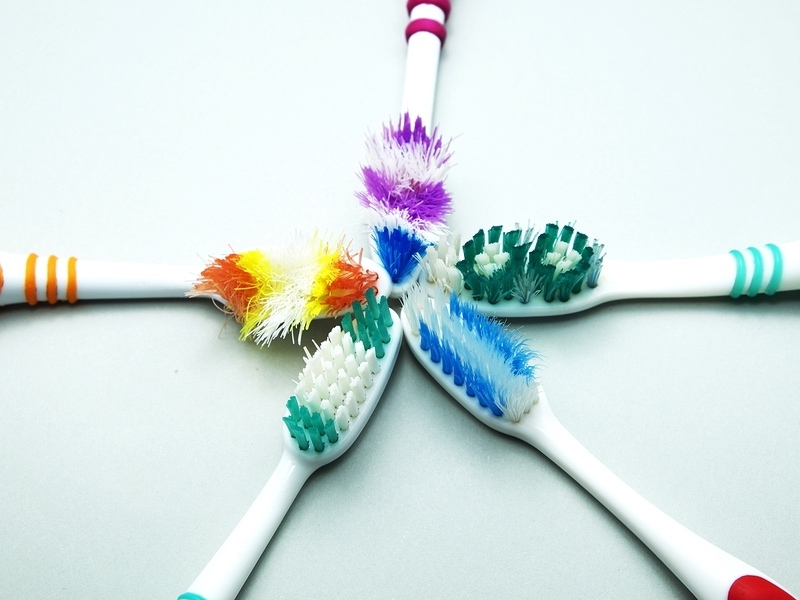 The angle of the bristles on your toothbrush are an important part of cleaning. Straight bristles scrub your teeth and flex your gums. A light circular motion is enough to clean your teeth without causing damage.Flat or frayed bristles are less efficient and can even cause you to work harder. Pressing harder on your teeth can cause damage. So how often should you change your toothbrush? Anyone who has worried about changing the oil in their car has learned this basic rule of thumb; change your oil every three months. It’s the same with your toothbrush. Most dental professionals recommend a new toothbrush every three months and our team at Jeff Gray DDS – Sedation & Cosmetic Dentistry we agree. The American Dental Association suggests replacing your toothbrush “every three to four months” due to worn bristles and bacteria. Worn bristles just simply are less effective. Bacteria can also built up in the small gaps of your toothbrush and may contribute to decay and bad breath. Also make sure you keep your toothbrush in a sanitary location. Allow for good drying to help extend its life. Regardless of how long it’s been, if the bristles on your toothbrush look like they’re trying to get away from each other, it’s time to give it up. Otherwise, change your toothbrush at the start of every new weather season to keep it fresh and effective. For more information about oral health in La Mesa, contact us at Jeff Gray DDS – Sedation & Cosmetic Dentistry in La Mesa, CA. We provide comprehensive general, restorative, sedation, or cosmetic dentistry. Please call today to schedule a consultation. Dr. Gray has been serving the La Mesa area since 1986. At Jeff Gray DDS – Sedation & Cosmetic Dentistry in the La Mesa, CA area, we believe that keeping your child’s teeth healthy is critical while they are young. We would be honored to be your choice for our specialized general dentistry services. Tooth decay and gum disease can hamper speech development. It can also make it more difficult for the child to eat healthy food. Unhealthy teeth reduce a child’s self-confidence. This, in turn, puts mental health at risk. Mouth pain can also impact school performance. The bottom line is that maintaining a healthy mouth in childhood is essential for a healthy life. And once your youngster moves into adulthood, oral health should remain a priority. The truth is that lifelong oral health is a process that starts early. Young children should see a pediatric dentist when their first tooth erupts, which is much earlier than many moms and dads often realize. So parents, please put dental appointments on your “to-do” list, along with well-child check-ups and immunizations. You might think you know the basics of daily oral hygiene for children, but it is wise to get a refresher course from one of our expert, child-friendly hygienists. We can also review sealants, bite issues, fluoride supplements, thumb sucking, and orthodontia. At Jeff Gray DDS – Sedation & Cosmetic Dentistry in the La Mesa, CA area, we would be honored to be your choice for our specialized general dentistry services. We can help your children and adolescents maintain healthy teeth and gums. We can also detect problems in the early stages when they are easier (and yes, less expensive) to correct. Call us today to schedule an appointment or consultation. We look forward to meeting you and your child. Most people would like to have whiter teeth. You’ve probably noticed that teeth tend to get yellow and dull with the passage of time. 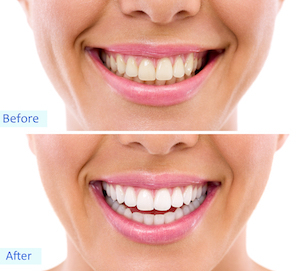 If you are one of those who would like whiter teeth, then Jeff Gray DDS in La Mesa can help. This blog post has some tips on teeth whitening and what we can do for you. The first tip seems like a no-brainer, but many people still overlook it. We are talking about daily tooth brushing. Brushing your teeth with a soft toothbrush and fluoride toothpaste is one of the best ways to keep your teeth clean and prevent tooth decay. Often our teeth become discolored or stained because of what we consume (drinks, food, etc.) but when we brush our teeth, it decreases the damage. After brushing teeth, another tip is using a fluoride rinse to finish the cleaning job. Fluoride helps get into the cracks where bacteria can be hiding away. When the bacteria is killed, it prevents it from spreading and discoloring your teeth. When you are shopping for a fluoride rinse, check the labels. Some ordinary mouthwashes don’t contain fluoride. Sometimes the discoloration is too extreme to be reversed by home remedies. That’s why we at Jeff Gray DDS in La Mesa offer other powerful care to improve your smile. We provide in-office and take-home teeth whitening. Each method provides effective teeth whitening, which among the cosmetic dentistry procedures we offer. Schedule an appointment with us today. Welcome to the Jeff Gray DDS – Sedation & Cosmetic Dentistry dental blog. Let’s talk about smile redesigns and smile makeovers in Santee. Some patients wonder if the term is synonymous with general cosmetic dentistry. For examples, is the placement of four veneers considered a smile makeover? Well, yes and no. If your smile is attractive and healthy except for some chips in your upper front teeth, veneer placement may remedy the few cosmetic problems and result in a stunning smile. Generally, however, a complete smile redesign combines several carefully-chosen cosmetic dentistry procedures performed at the same time for a complete smile transformation. In other words, the sum is greater than the parts. For example, one treatment plan could include crown restorations, porcelain veneers for teeth that are misshapen but otherwise healthy, tooth-colored filling replacement for old amalgam fillings, and professional teeth whitening for the crowning touch. At our office, we have been practicing general and cosmetic dentistry in La Mesa, California since 1986. Performing successful smile redesigns makes my profession extremely fulfilling. Patients who plan to receive a smile makeover should take their time choosing a dentist to perform it. We invite you to schedule a consultation so we can discuss your needs and wishes. During the consultation, our team can tell you about my extensive experience and show you before and after pictures of satisfied patients. When we design custom smile makeovers in Santee, we study several elements in addition to the teeth. After all, the teeth are just one component of the patient’s face. The gum line, lips, mouth, facial shape, facial structure, coloring, and patient’s age affect the scope of the design. This comprehensive approach to smile makeovers in Santee achieves fantastic results and sets our practice apart. If you are interested in learning more about smile transformations, call us today at 619-717-8560. It’s easy to see why smile makeover patients and cosmetic dentists love porcelain veneers in San Diego. They correct a multitude of cosmetic flaws and deliver brilliant results for our patients. If you are considering beautifying your smile with porcelain veneers in San Diego, you’ll want a trusted dentist with extensive experience performing this treatment. The porcelain veneer procedure is more complicated than many cosmetic dental patients realize. A porcelain veneer in San Diego is an extremely thin shell that is permanently attached to the front of a tooth. They are custom made for each patient. Porcelain veneers in San Diego cover chips, cracks, and stains. They can also improve the shape, size or length of a tooth. While preparing a tooth for a porcelain veneer in San Diego is less invasive than preparing a tooth for a crown, it is not a reversible procedure. A microscopically small amount of enamel must be removed to make room for the veneer. Thus, the tooth can never be restored to its original condition. When performing the multi-step veneer procedure, the dentist must consider the surrounding teeth, the patient’s bite, the gums, the health of the affected teeth, and the patient’s goals and expectations. Most smiles contain varying shades of tooth enamel – sometimes a considerable range – further complicating the color selection process. The dentist must also work closely with the dental lab technician who fabricates the veneers. The lab technician’s skill level and quality of materials are just as vital as the expertise of the cosmetic dentist. 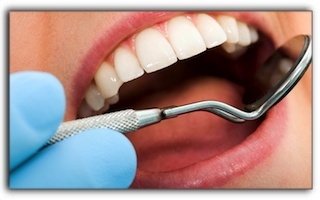 Veneers are usually placed on the most visible teeth – center stage, so to speak. They are on display every time the patient opens their mouth. This is definitely a procedure you want to get right the first time! At Jeff Gray DDS – Sedation & Cosmetic Dentistry, we have been providing general and cosmetic dentistry in La Mesa, California since 1986. If you are wondering if porcelain veneers would give you the smile you desire, we invite you to schedule a consultation by calling our office at 619-717-8560. We can discuss teeth whitening, Invisalign, and any questions you have. We want you to love your smile! If you are one of the many patients wearing dentures in La Mesa, you know that they are not the ideal solution for missing teeth. The problems with dentures include slipping, gum irritation, trouble eating and talking, bone loss, and inability to taste food due to a covered palate. 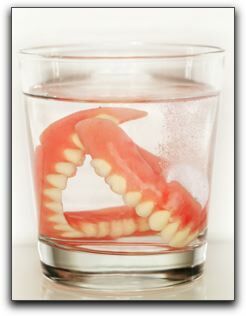 Clearly, dentures do not feel and function like natural teeth. Good oral hygiene and regular dental checkups can help you avoid the need for dentures later in your life, but other factors can make dental replacements an inevitability. The good news is that modern dental implant technology offers a better tooth restoration solution for those with dentures in La Mesa. If you currently wear traditional dentures and are not happy with them, implant anchored dentures in La Mesa may dramatically change your life. Your chewing ability will be similar to that of natural teeth and you will be able to eat hard foods again. Implant dentures can also prevent bone recession that occurs after having missing teeth, meaning that implant dentures in La Mesa also improve overall dental health. How about a thick T-bone at your favorite La Mesa steakhouse? In addition to being able to enjoy your favorite meal, you will avoid the embarrassment of having your dentures rattle around in your mouth or slip out in public. 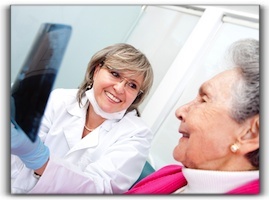 Before you pay for another denture reline, ask your La Mesa dentist about the possibility of dental implants. There is life after dentures with tooth implants! Come see us at Jeff Gray DDS – Sedation & Cosmetic Dentistry at 8555 Fletcher Pkwy Ste 102 in La Mesa, 91942 for more information about dental implants and implant-dentures. We look forward to hearing from you. If you have claustrophobia, you skip out when your friends decide to go exploring a cave. If you have acrophobia, you avoid sky diving. In either case, you can live a fulfilling life without joining in these activities. But what if you have dentophobia? This is different than the phobias mentioned previously. Since dental visits are crucial for oral health in La Mesa, it’s not smart to simply avoid dental treatment altogether, yet many individuals try to do just that. That is, until they have a problem that gets so painful they are pushed to white knuckle it through a dental visit. At that point, the process may be an extraction that could have been prevented with earlier intervention or preventative treatments. Mild sedation: relaxes you while you remain conscious. Moderate sedation: provides a deeper level of relaxation with partial consciousness. Deep sedation: you are almost entirely unconscious but can be awakened. General anesthesia: this puts you in an unconscious state from which you awake after it’s over with no memory of the procedure. For more information on oral sedation dentistry, contact us at 619-717-8560. If you’re worried about your oral health in La Mesa, then it’s time you schedule an appointment with a professional dentist. At Jeff Gray DDS, we will provide you with a safe environment so that you can seek the treatment you need without any worries. Are you worried about seeing the dentist? Are you worried about discussing your smile with a professional? Do you experience severe dental anxiety in La Mesa? That’s alright because we understand and we’re here to help. Settling into the reality of what you are prepared to discuss with your dentist is the first step to dental relief. Whether you want to move forward with teeth whitening or have dentures implanted, call now to schedule an informative and pressure-free consultation. If you’re nervous about Invisalign or in denial about the need for laser dentistry or porcelain veneers, the reality is that Dr. Jeff Gray has been meeting with patients since 1986 in La Mesa, California. Our practice, Jeff Gray DDS – Sedation & Cosmetic Dentistry, has been here and will continue to be here for you when you’re ready to meet with us. The next step is making a choice. As you sift through the choices and choose the right dentist in La Mesa, California keep in mind that Jeff Gray DDS – Sedation & Cosmetic Dentistry offers competitive pricing and affordable options. We see patients throughout the Santee, Alpine, Jamul areas with pleasure and look forward to treating your dental concerns with accuracy, gentleness, and expert care. The final step to relief is just smiling. Don’t let dental anxiety in La Mesa prevent you from feeling confident in your own smile. We’d like to tell you more about dental implants, cosmetic dentistry, sedation dentistry, and overcoming dental anxiety in La Mesa. Our team is convinced that you’ll walk out the door with a confident smile. Schedule an appointment with us today!